This spunky children space has the perfect decor for a kids shoot! 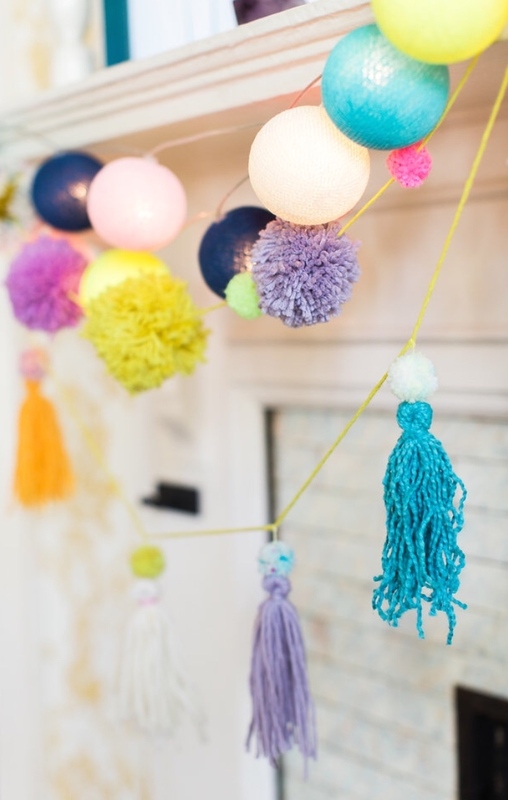 The bright colors, variety in shape and sizes of pompoms are fabulous! Don't miss the charming bungalow crib!